Cup Sweep does all the work for you. Instantly. 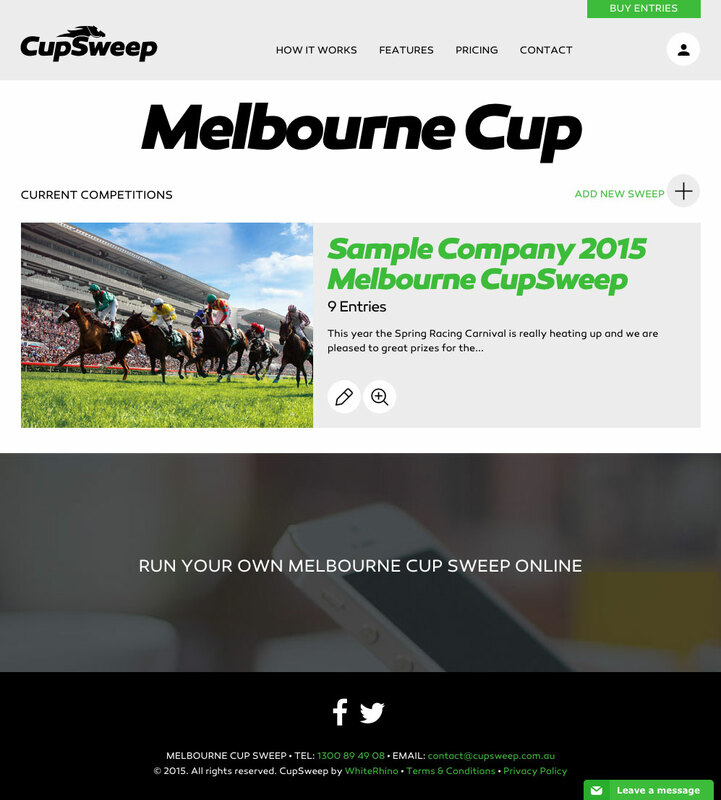 Australia's first completely online Cup Sweep competition tool for the events like Caufield Cup & The Melbourne Cup. Ideal for offices, businesses, organisations and social groups. FREE SIGNUP for 25 entries. 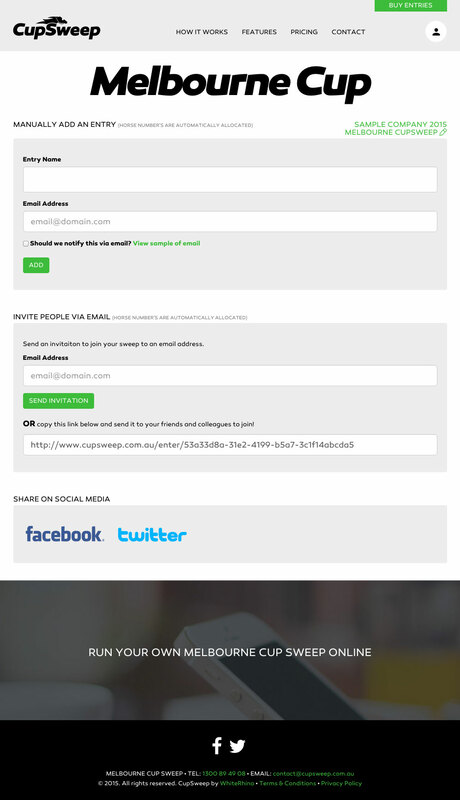 Initial signup is free with all the full features. Perfect for a small group of friends, family or work colleagues. A versatile platform, Cup Sweep will respond to any device at home, in the office or on-the-go. Cup Sweep is the ultimate online sweep tool. With different packages to suit your requirements, Cup Sweep enables both small groups and large companies to participate in the 2016 Melbourne Cup race. ITS DIGITAL, ALL THE WAY TO THE FINISH! An online cup sweep eliminates the tedious process of cutting up paper or printing out forms and spreadsheets. It's automated and completely online. QUICK AND EASY SETUP. GOOD LUCK! With a quick and easy signup process you can be running your very own cup sweep within a matter of minutes. Sign up now! 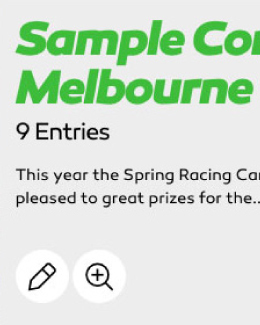 The Cup Sweep App allows you to send entry requests via email, allocate horse trifecta numbers automatically and manage all the competition information and prizes. Sign up with our online form, and start running your very own Cup Sweep for events like the 2016 Melbourne Cup. Just fill in your email and get started. It’s all online – no more paper shuffling! Start with our free package, which accommodates up to 24 participants, or upgrade to one of the higher-level competitions, depending on your group size. Packages can be upgraded at a later stage, so if your sweep competition is growing, there's no need to worry. 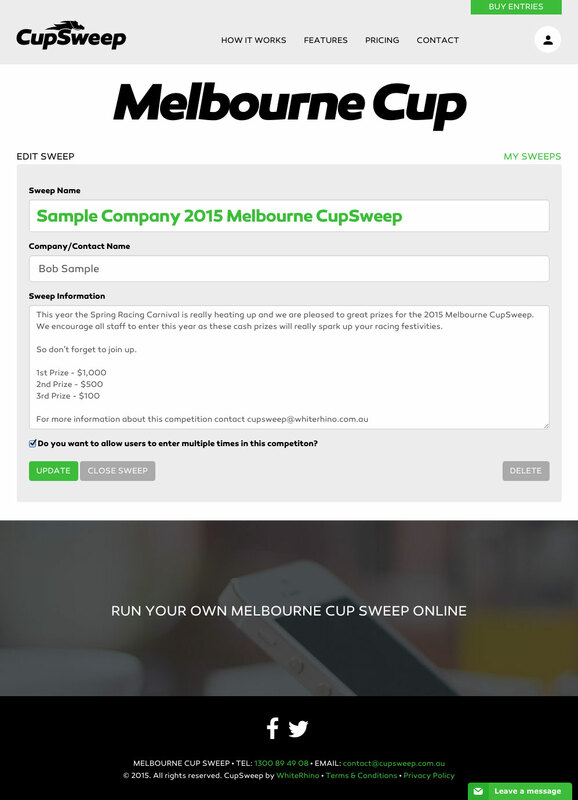 CupSweep.com.au can accommodate up to 12,000 participants in one competition. All Cup Sweep competitions are run as a Trifecta and set up is easy. Once you’ve set up your Sweep, you can add in additional information, such as entry fees and prize money. Horses are allocated automatically by the system as a Trifecta and cannot be changed. Visit our Frequently Asked Questions for more information. 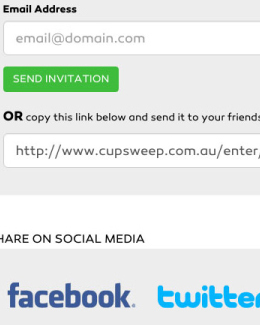 You can choose from 3 ways for people to join your cup sweep: by adding names and emails manually, by sending an invite through our system, or by sharing a competition link. Adding participants manually will automatically enter them into your Cup Sweep and they will be notified of their horse numbers. Participants who are sent an invitation are given the choice to join before receiving their horse numbers. 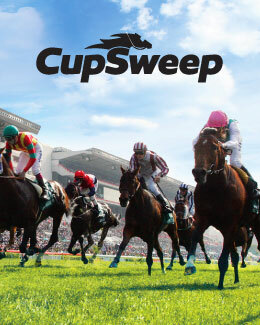 Let Cup Sweep do the work for you - just sit back and enjoy the race! Intuitive and easy to use. Click to see how it looks. Cup Sweep is for everyone! Melbourne Cup Day is Australia's best-known horse racing event, held on the first Tuesday of November every year. It is an annual public holiday in the state of Victoria. This event is popularly dubbed as "the race that stops the nation".